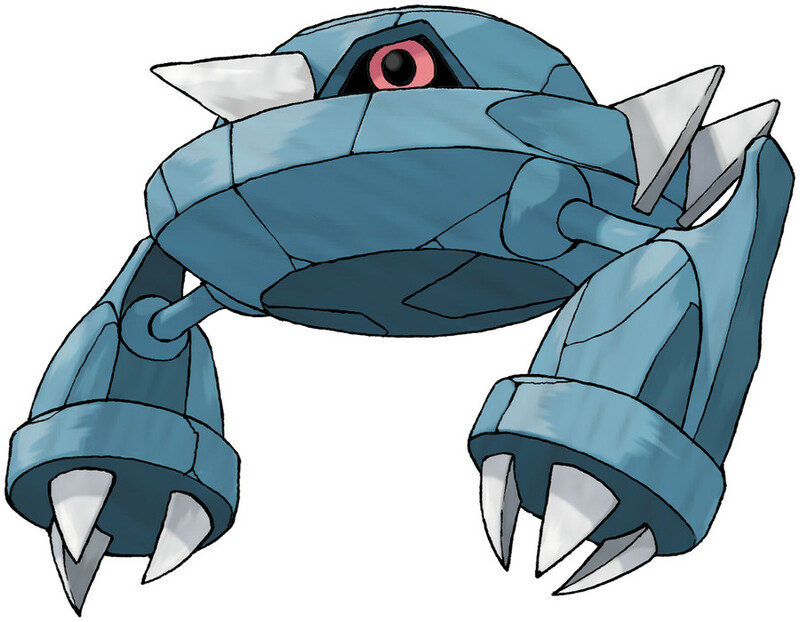 Metang is a Steel/Psychic type Pokémon introduced in Generation 3. It is known as the Iron Claw Pokémon . The effectiveness of each type on Metang. In Generations 3-4, Metang has a base experience yield of 153. It floats midair using magnetism. Its body is so tough, even a crash with a jet plane won’t leave a scratch. Metang learns the following moves in Pokémon Ultra Sun & Ultra Moon at the levels specified. Metang learns the following moves when it evolves in Pokémon Ultra Sun & Ultra Moon (regardless of level). Metang does not learn any moves by breeding in Pokémon Ultra Sun & Ultra Moon. Metang can only learn these moves in previous generations. It must be taught the moves in the appropriate game and then transferred to Pokémon Ultra Sun & Ultra Moon. Metang learns the following moves in Pokémon Sun & Moon at the levels specified. Metang learns the following moves when it evolves in Pokémon Sun & Moon (regardless of level). Metang does not learn any moves by breeding in Pokémon Sun & Moon. Metang can only learn these moves in previous generations. It must be taught the moves in the appropriate game and then transferred to Pokémon Sun & Moon. Why can't I breed Metang? How I can get Metang in X/Y?